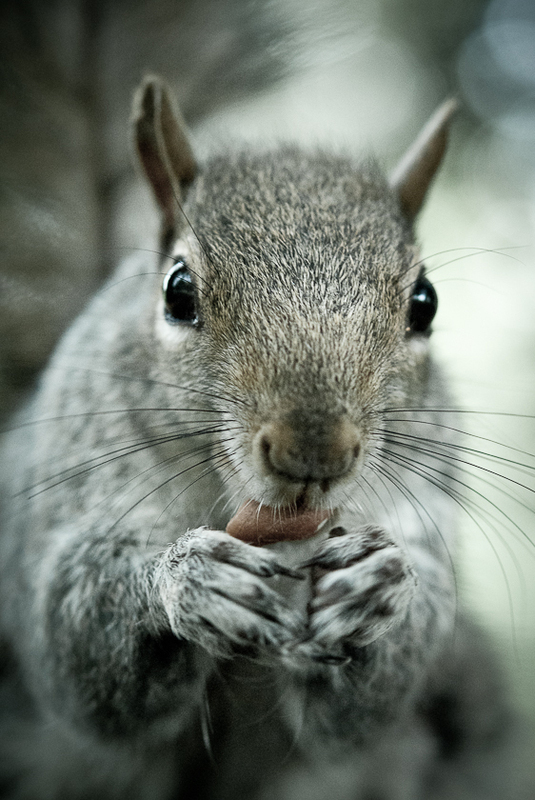 Grey squirrels are everywhere in London, scurrying around in parks, raiding bird feeders in gardens and nesting in attics. Their fondness for chewing off the insulation from electrical wires has landed them on the pest control list. Needless to say, not every Londoner loves them. 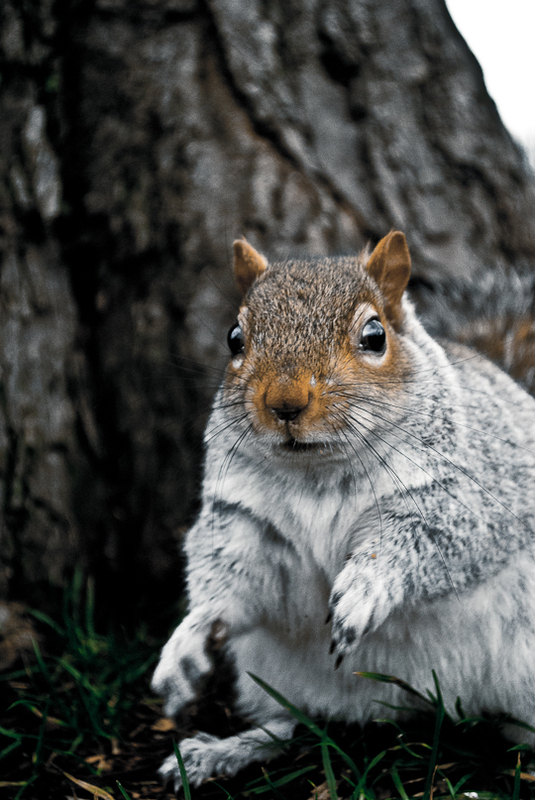 Although local councils make it clear that squirrels should only be exterminated by professional pest control officers, a home owner from South-West London got so fed up back in 2007 that he started killing them with his air pistol. A look at an airgun forum shows that there is still much debate over the morality of such action. Some even go so far as saying that the animals should be eaten. 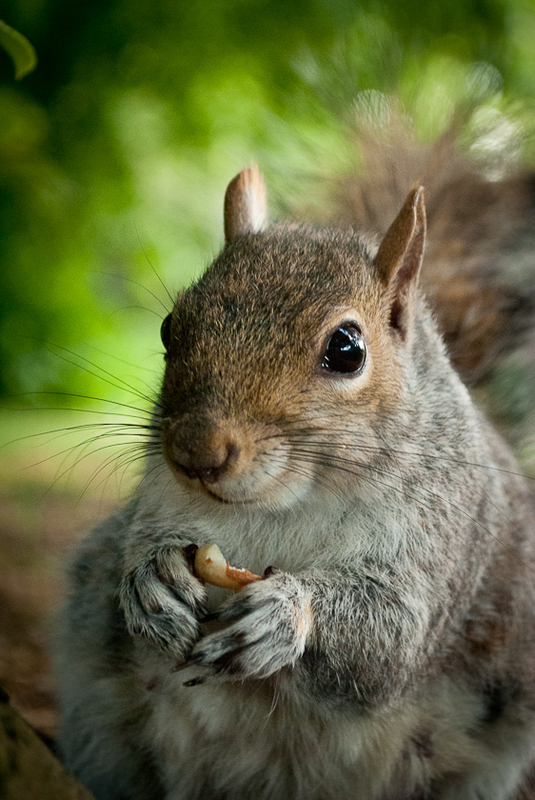 A north London Budgens reached the national news last year for selling squirrel meat. The grocery store enticed much anger from the animal welfare organisation Viva, who claimed that they are cashing in on a wildlife bloodbath. A quick run to the shop reveals that the meat is still on the shelf. 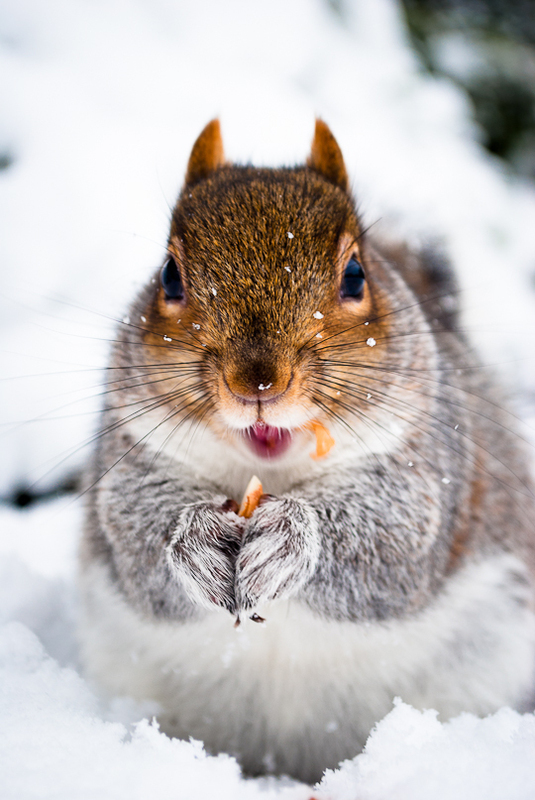 There was also a big story about squirrels going nuts on crack cocaine in Brixton in 2005, after dealers started hiding their stash in the ground in response to a police effort to curb drug use. 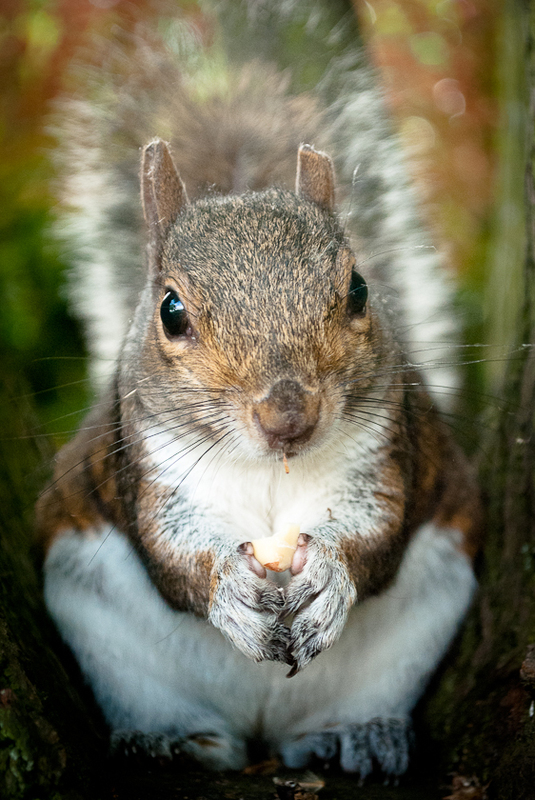 Residents said they feared that they’d soon be terrorised by squirrels looking for a fix, referring to a similar case of doped-up rodents in New York and Washington. 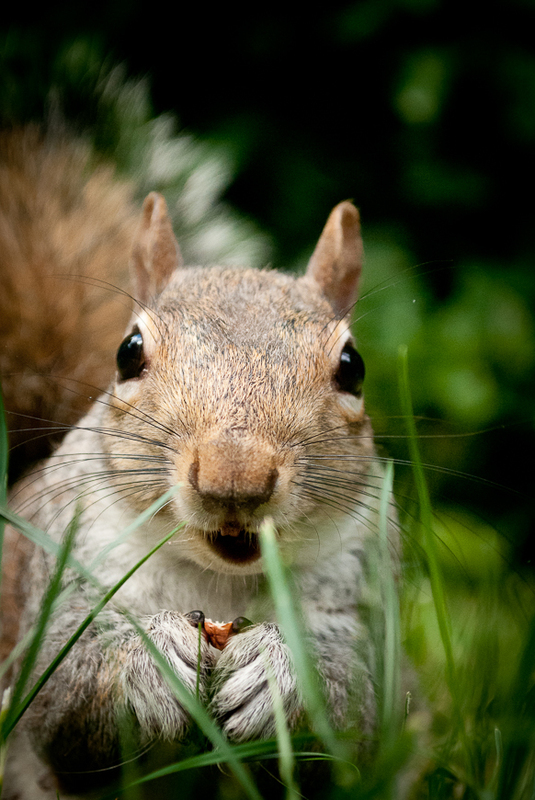 A spokesperson for the RSCPA explained that squirrels would die soon after eating crack, so this seems like another urban myth. A widespread misconception about the grey squirrel is that they are responsible for the decline of the native (fluffy-eared) red squirrel. 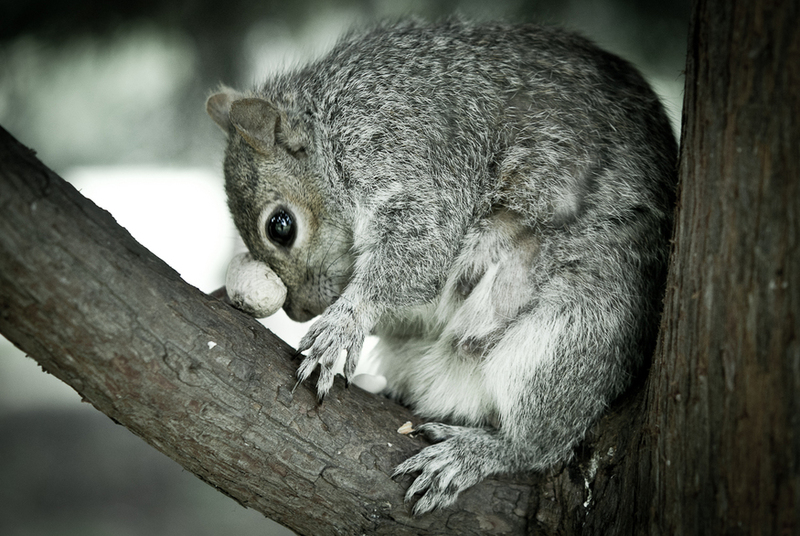 By the time the North-American squirrel was brought to Europe in the 19th century, the British reds had already disappeared from Scotland and Ireland due to deforestation and habitat loss. Most of the remaining population in England was wiped out by pest control. First the red squirrel was seen as a villain and now the same fate befalls the grey. 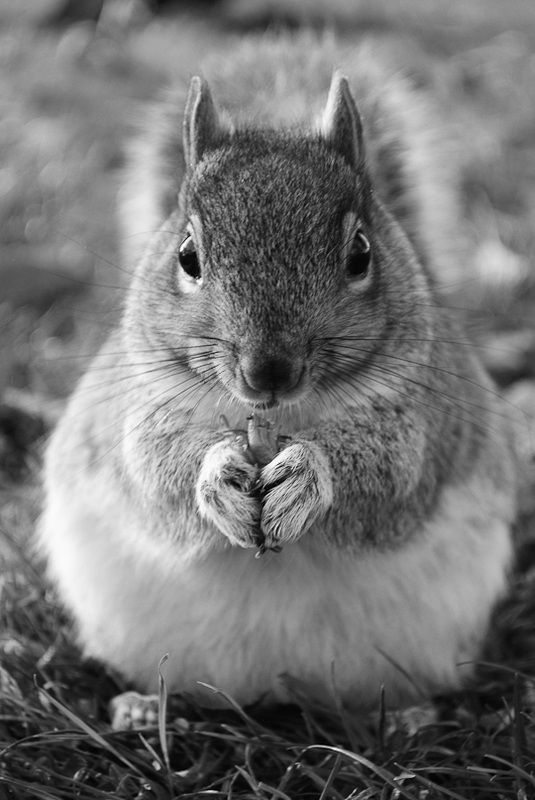 For those who want to feed them, squirrels love munching on unroasted peanuts (with or without shell). But remember to be careful. They have very sharp teeth and nails, so keep a fair distance to avoid bites and cuts. 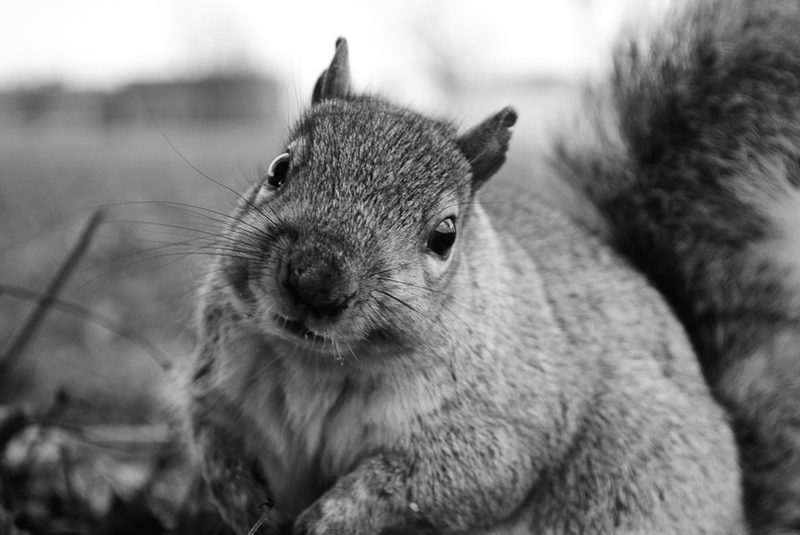 It’s highly unlikely that squirrels carry rabies, but it’s best to have any injuries checked out. Words and pictures by Mischa van den Brandhof. 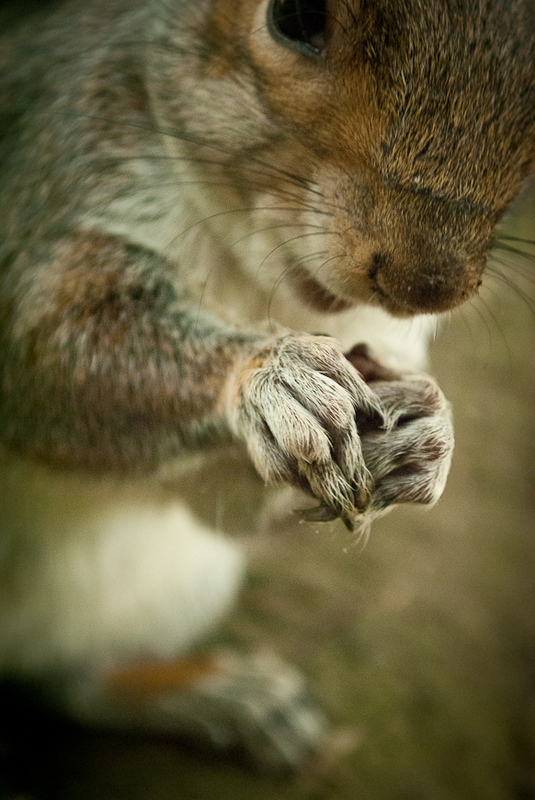 Got any anecdotes about London's squirrels? Love them or hate them? Let us know below.